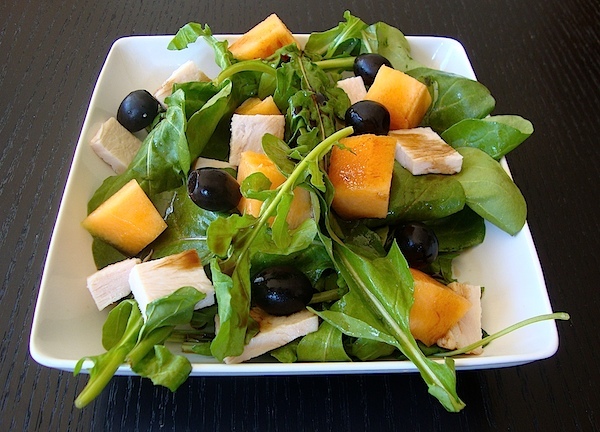 Remove seeds and skin off the rock melon/cantaloupe and chop into bite size pieces. Cut turkey into bite size pieces and slice onion into thin strips. Arrange salad ingredients on a large serving platter (refer to picture). Combine the garlic, mustard and balsamic vinegar in a blender and blend until smooth. With the motor running, slowly add the oil until emulsified. Season with sea salt and black pepper. Drizzle generously over the salad. Chicken Nuggets: How Bad Are They? Are Pesticides Behind Massive Bee Die-Offs?